Last year, Dr Sue Keay led the development of Australia’s first Robotics Roadmap. She caught up with create to discuss the future of robotics and automation, and what it means for the engineering profession. Keay has recently moved into the role of Research Director Cyber Physical Systems at CSIRO’s Data 61. She believes this group has the resources and “critical mass” to solve some of Australia’s unique challenges as the country transitions to an increasingly automated working environment. “[Data 61] are doing a great job of bridging the gap from research to applications in industry,” she said. And their remit is impressively broad, ranging from robotics and autonomous systems to distributed sensing networks, 3D mapping, AI-enabled computer vision and cybernetics. “The thing that all these research areas have in common is how you can collect data from the physical world, interpret that in the digital world, and in the case of robotics, use that to take action back in the physical world,” Keay explained. 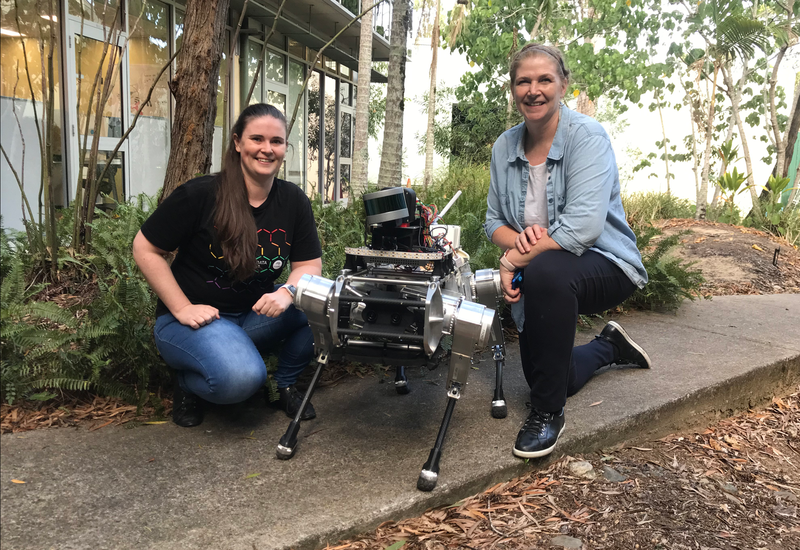 CSIRO’s Data61 DARPA Project Manager Erin McColl (left) with Cyber Physical Systems Research Director Sue Keay (right), next to a hexapod robot from Ghost Robotics being trialled for the DARPA Sub-T challenge. Keay said it was impossible to mention all of the projects and spin-off companies originating from the Cyber Physical Systems Group. One example she described was a sensor so tiny it can be transported by bees. Similar microsensors are also being used in cranial implants for patients with a brain injury to help identify their risk of having an epileptic seizure. Other initiatives include linking an image of food to its nutritional value, and smart tags to remotely monitor the location and health of livestock. 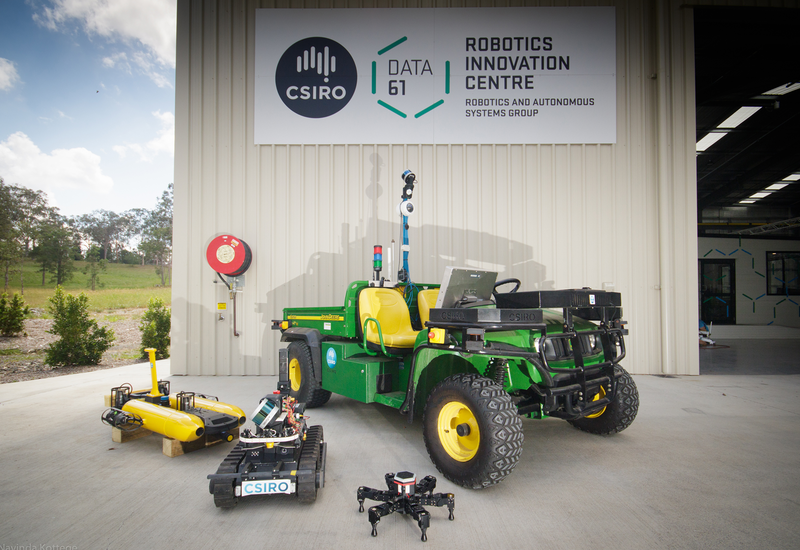 Data 61 has also recently opened a purpose-built Robotics Innovation Centre in Queensland, which will be available for use by industry to test robotics technologies. As robotics and automation become more prevalent, Keay said engineers will be in demand. While mechatronics and software engineers will be involved in designing and programming systems, other disciplines will also be crucial. As an example, Keay pointed to the preparation needed to allow autonomous vehicles to safely navigate public road networks. “We really need business to be very proactive in their workforce planning – thinking about the technologies that are going to have an impact on their business and what their workforce might look like in the future,” she said. Keay mentioned the example of Rio Tinto, which recognised that as autonomous vehicles rolled out across mine sites they would reach a point where people were no longer in the driver’s seat. In response, the company worked with the WA TAFE sector to develop a certification course for entry level field technicians. “Rather than driving the trucks, they’re servicing the trucks,” Keay explained, adding that she hoped this certification will be adopted in other states. 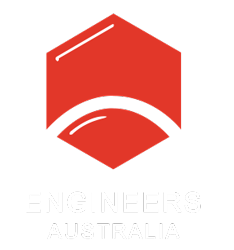 According to a recent Engineers Australia report, between 2001 and 2017 women made up only 14.1 per cent of students completing four year engineering degrees. Looking at the data more closely shows the proportion of female graduates has decreased over time. Between 2001 and 2005, 16.4 per cent of graduates were women. In the five years leading up to 2017, the proportion dropped to 13.2 per cent. In robotics, Keay estimates that only 10 per cent of the workforce was female. While a lot of innovative technologies are being developed, if the developers have limited diversity, it restricts the range of ideas shaping the tech. “Ultimately that can mean that you are developing technologies that really are only custom made for 50 per cent of the population. And that’s something that we have to change,” Keay said. She said that the reasons surrounding low female participation in engineering and other technological fields were complex. “It’s not just about the number of women who are going into engineering. It’s about how people perceive those careers and the suitability of women being in them,” Keay explained, adding that one way to challenge the stereotypes was to promote the professional achievements of women. To this end, Keay has organised the inaugural Hopper Down Under celebration, which will take place in Brisbane this July. She said it will be a Southern Hemisphere version of what is believed to be the world’s largest celebration of female technologists: the Grace Hopper Celebration in the US. Keay said Hopper Down Under would foster networking between young women starting out in their careers, as well as more established professionals. It will also give tech companies and tech-reliant companies from other sectors (such as mining and finance) a chance to recruit for diversity.